Valentine’s day is a great time of year for visiting one of the great local restaurants who have been experimenting to create a meal you’ll love. No matter your relationship status, food is there for you and loving food is a delicious way to explore cuisines and travel the world from your plate. In Wimbledon Village, I would recommend The Ivy Café for a very special romantic meal. On top of their already incredible food and sophisticated atmosphere they have created a divine Valentine’s pudding to celebrate the day. If you haven’t had the pleasure of trying their desserts, I can assure you they are rather exquisite and made with a lot of love. 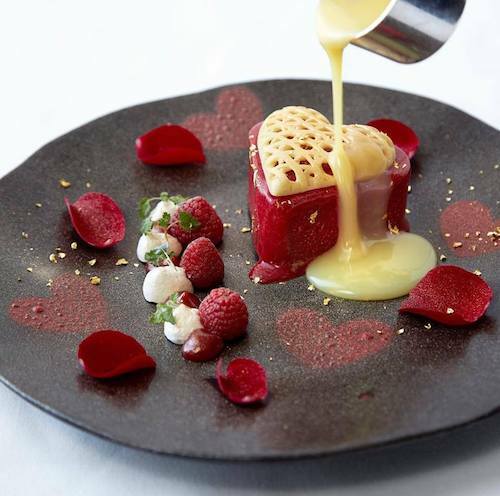 The ‘Key To Your Heart’ dessert features refreshing raspberry sorbet with a drizzling of warm white chocolate sauce and edible rose petals. 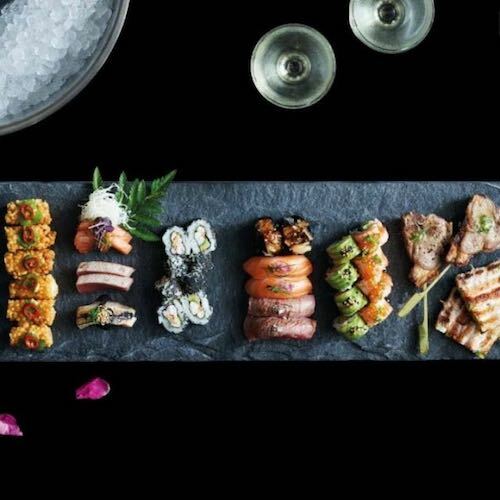 Visit Sticks’n’Sushi to discover their unique range of meat and sushi options for a Valentine’s Day meal that brings out the best flavour. What is so great that although their sushi is incredible, it is also a restaurant for those who don’t like fish. Their meat sticks and even their vegan salads are skilfully crafted to let you experience a different level of flavour not found in other restaurants. Visiting is like arriving in a foreign land where food is treated so differently to anything else you’ll find locally. 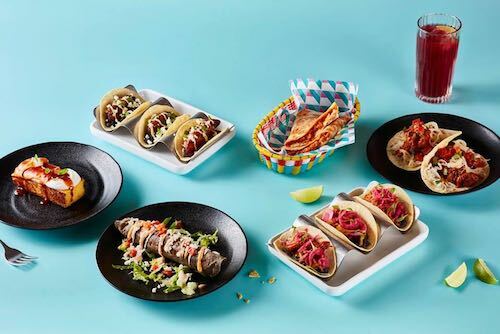 For a fun and quirky date night, my choice for eating out would be Wahaca. 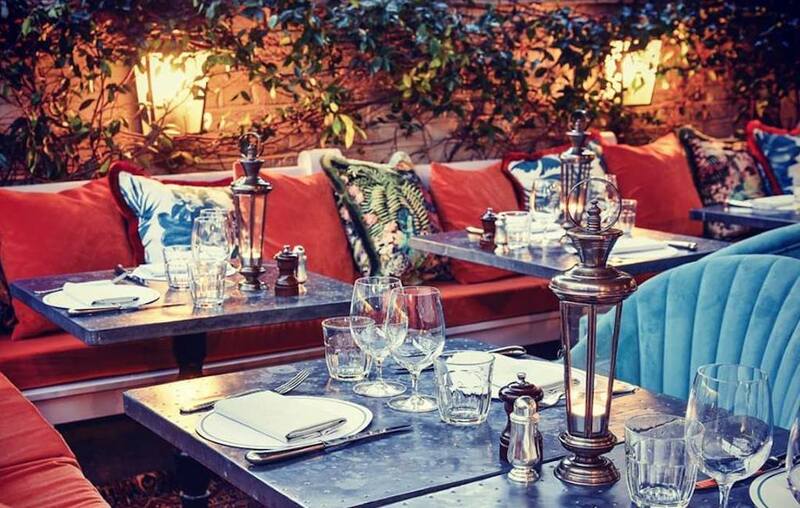 The fun environment, great cocktails and sharing plates make it the place to visit for a casual relaxed date night. Make sure you add a few of their hibiscus margaritas to your order to help increase the Valentine’s spirits and the good times a little more. They have a Valentine’s menu perfect for 2 which is also available in a vegan menu. However if you love the street food menu and you know what you want, then enjoy exactly what you fancy. My tip is always leave room for the churros!